He is presently an Employee and Department head for Home Depot. 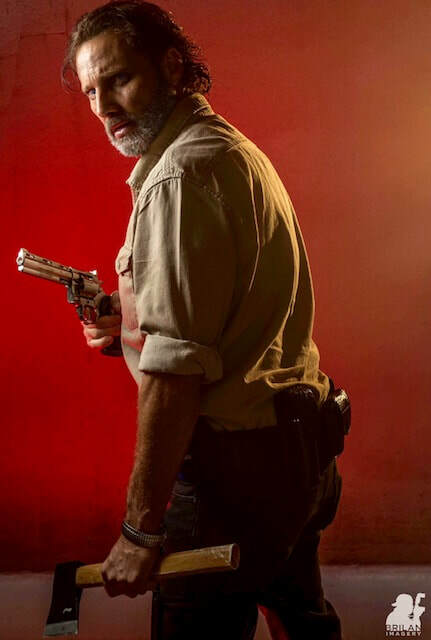 He feels very Blessed to now add Rick Grimes cosplay into his life. Family, friends and coworkers, have had a huge impact, on encouraging him to pursue this, or he may have not, on his own. He had several years of stomach issues, even life threatening complications, which lead to some serious surgeries. As a result from being in and out if hospitals, he lost a lot of weight. Also during that time, he had grown his hair out somewhat and a beard. You could say he began his journey, in the hospital. Waking up to looking like a different person in some ways, kind of like Rick Grimes. 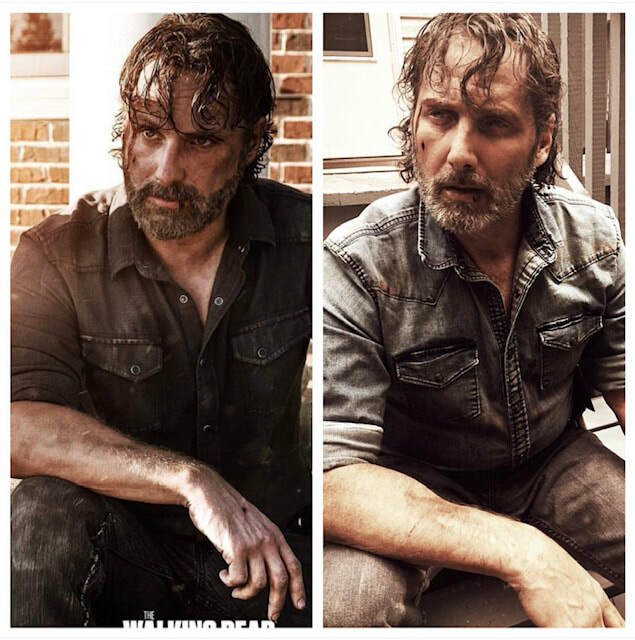 Finally after he was able to return to work, he immediately began getting comments to his resemblance of a man named Rick Grimes. It started coming from coworkers, customers, and people, in other public places. He started getting ask for photos as well. He found and still finds it to be such a pleasure. He has a lot of gratitude, especially to God, and is grateful to still be alive to be able to give and receive a little happiness. The world definitely needs some more of that! 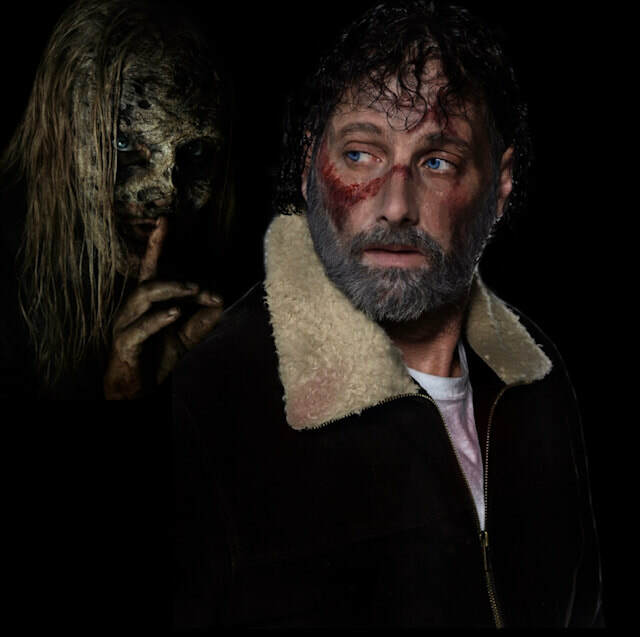 He was not a walking dead fan, nor did he know who Rick was, until he and his family decided to binge watch the show on Netflix later 2016, out of curiosity. Who was this zombie killing sheriff, He supposedly favored so much? After getting past the gore and all, it was instant fandom. Lol! He very much has enjoyed the honor of the comparison, to such an awesome character, and not to mention, a wonderful human being, in real life. 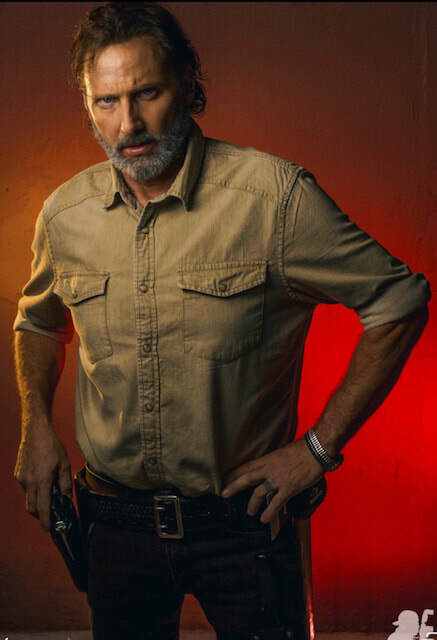 For fun, he did the first Rick Grimes dress-up, event for Halloween. It was a blast interacting with the children and families and getting such a great reaction. From that, it has blossomed into special events, charities and several conventions. Walker Stalker Atlanta 2017 was first and only Walker Stalker so far, until upcoming Walker Stalker 2018 Atlanta. He's Very excited for 2019, and the meaning of what the booth will be representing. He feels Giving Back and using, this for good, should be first and foremost. Along this journey, its most definitely been a learning experience of both positive and negative. More Positive tho and very fulfilling in many ways. He's had the pleasure of meeting a lot of nice people, and has had the chance to briefly meet Andrew Lincoln, himself. That was a definite highlight. He’s Also gotten to meet Greg Nicotero, Norman Reedus, and a few other cast members. He hopes to continue on this amazing ride, for as long as it can be used in a positive way. 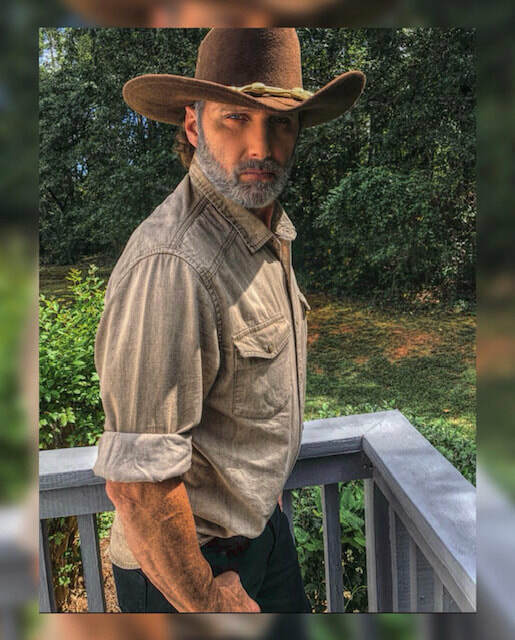 He says there is a lot of other very good Rick Grimes cosplayers out there, each with their own flavor and plenty enough cheer to share and spread, for everybody. 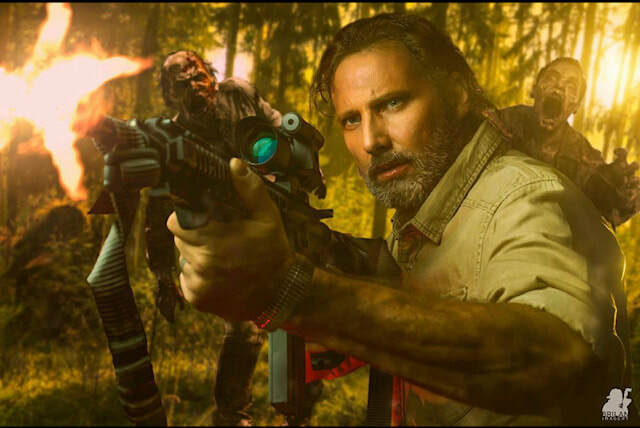 He feels Blessed to embody the Rick Grimes character and be a part of The Walking Dead family. He feels like if you’ve been Blessed with this opportunity, be a good Representative. For any and all Cosplayers, after all, we are all just cosplayers and should honor and respect the Stars, we are representing. Without them, there wouldn’t be cosplay and for some, no job, who have made it their career. So yes! Be a good solid Rep!